Matthews, who suffered from cramps during his unbeaten century knock in the second ODI at Mohali on December 13, bowled and batted as the Sri Lanka cricket team hit the ground during the training session in Visakhapatnam on Friday. In a big relief for Sri Lanka, team's star all-rounder Angelo Mathews has recovered from cramps and is available for selection for the series-deciding third ODI against India on Sunday. 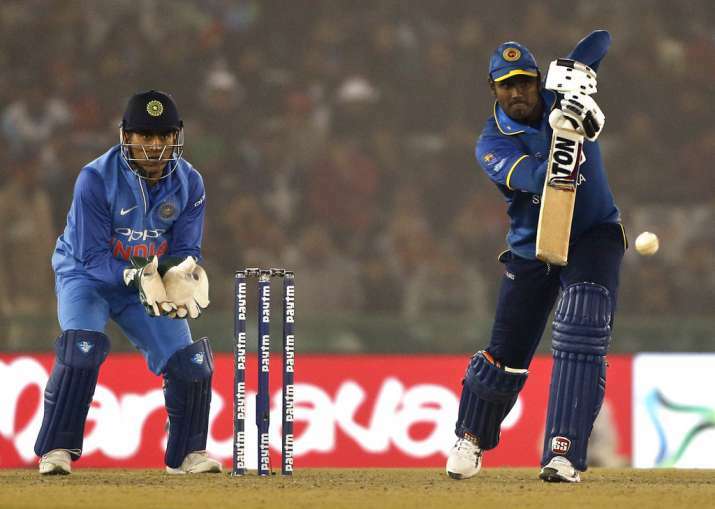 Matthews, who suffered from cramps during his unbeaten century knock in the second ODI at Mohali on December 13, bowled and batted as the Sri Lanka cricket team hit the ground by taking part in a training session on Friday. Mathews had a couple of batting stints and also bowled some overs in between. Team manager Asanka Gurusinha said Matthews is fit and will be available for the series decider. "Angelo Mathews is fit. He suffered from cramps at the end of the last game. However, he has recovered. He bowled as well as batted in the nets today. All our 15 members are fit and available for selection," Gurusinha said. The Islanders had a training session that lasted a little over three hours. The batsmen and bowlers went through their usual drills under the watchful eyes of the coaching staff led by Nic Pothas. Meanwhile, the Indian team called off their optional training session scheduled for later in the day. The series is locked at 1-all after India bounced back strongly, riding on skipper Rohit Sharma's splendid double century to post a big win at Mohali. Earlier, Sri Lanka had surprised the host in the first one-day international at Dharamsala on December 10.